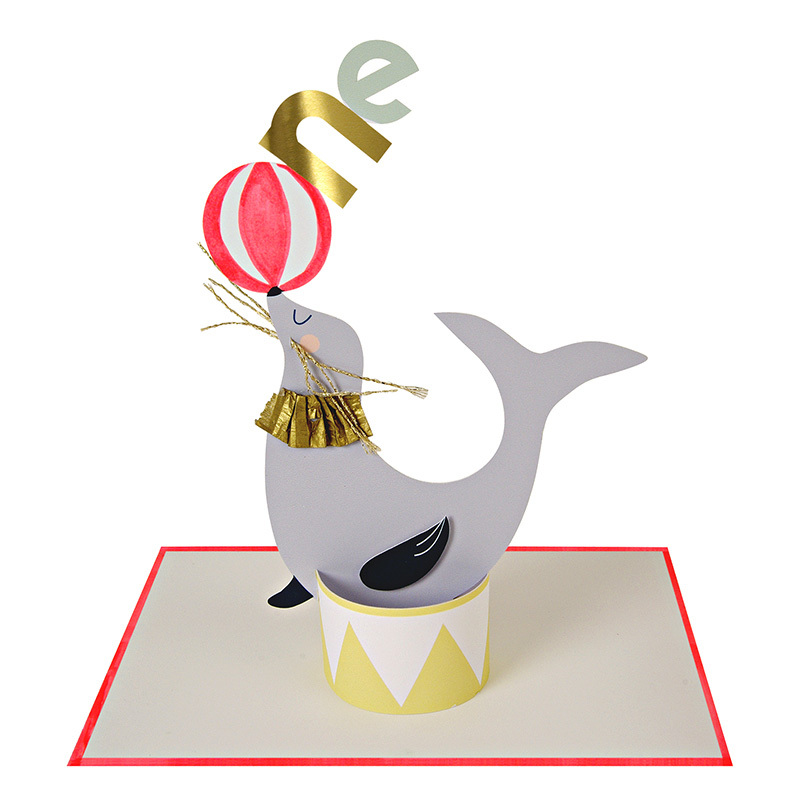 A cute, stand-up birthday card to celebrate a first birthday featuring a clever sea lion balancing a ball. The card is embellished with shiny gold foil and thread and comes with a co-ordinating envelope. 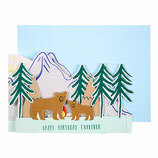 A very pretty card to send and receive. 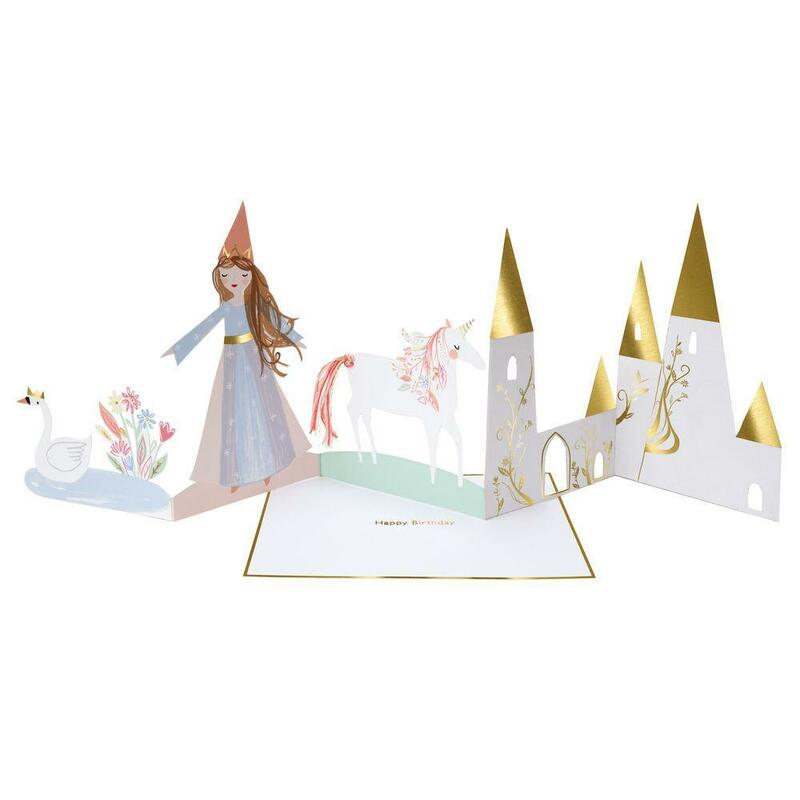 Featuring a beautifully illustrated princess in a magical castle setting, with more detail revealed when the card is opened. 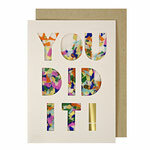 Embellished with gold foil detail. 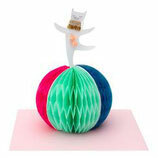 Cat lovers will adore this charming card, which doubles up as a fun decoration. 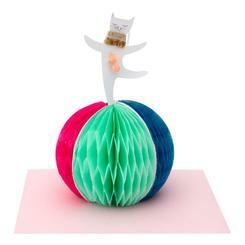 Beautifully crafted with lots of special detail including pompoms, gold foil, and a colorful honeycomb ball. 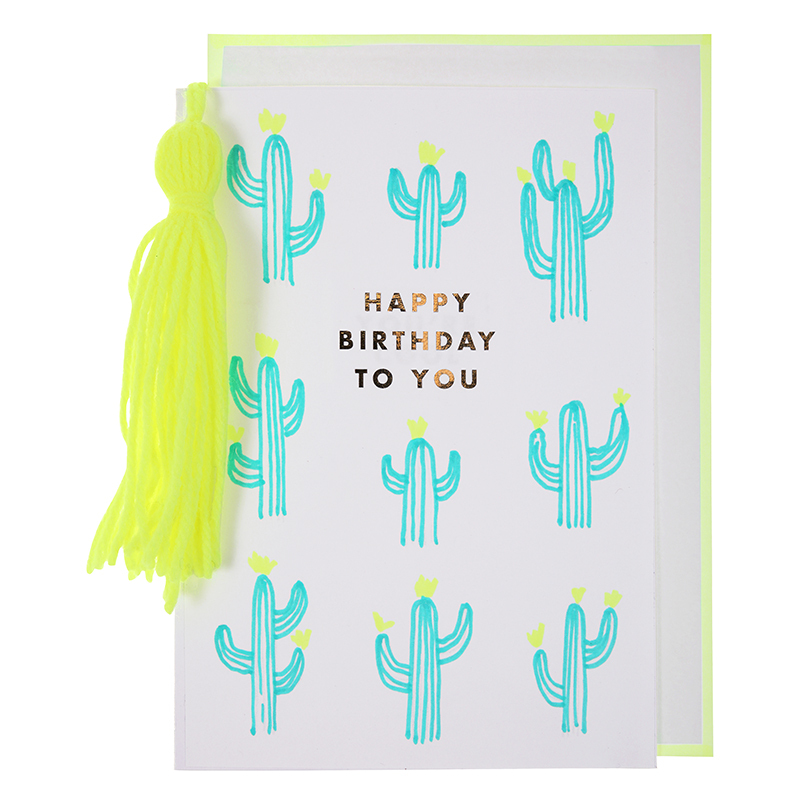 This stylish birthday card features a cactus pattern in pastel and neon colors and is finished with a large neon yellow tassel. 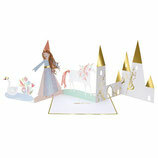 The card is embellished with gold foil and comes with a co-ordinating envelope. 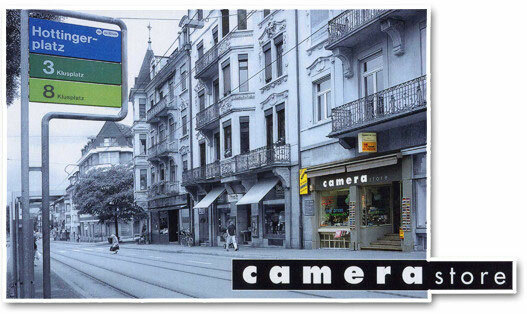 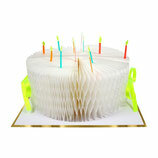 Gadget-mad people will love this high tech birthday card. 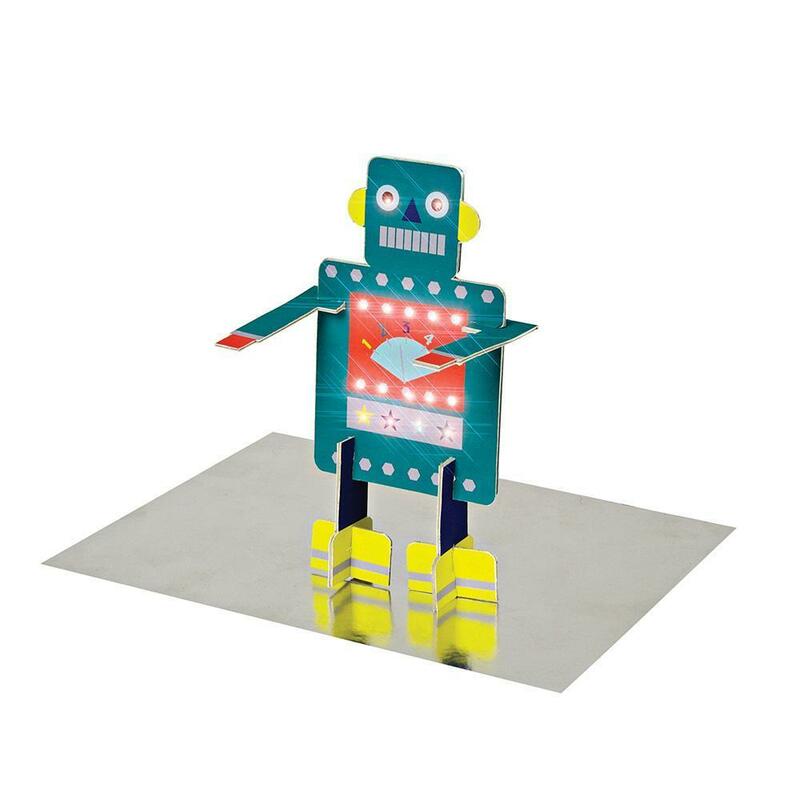 The stand-up robot comes complete with flashing eyes and instrument panel for extra authenticity. 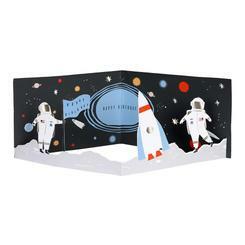 The card is embellished with silver foil and comes with a coordinating envelope. 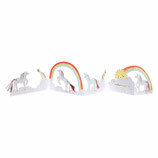 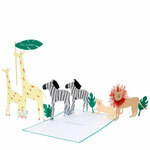 This spectacular 3D pop-up birthday cake card, complete with candles, will be a real delight to receive. 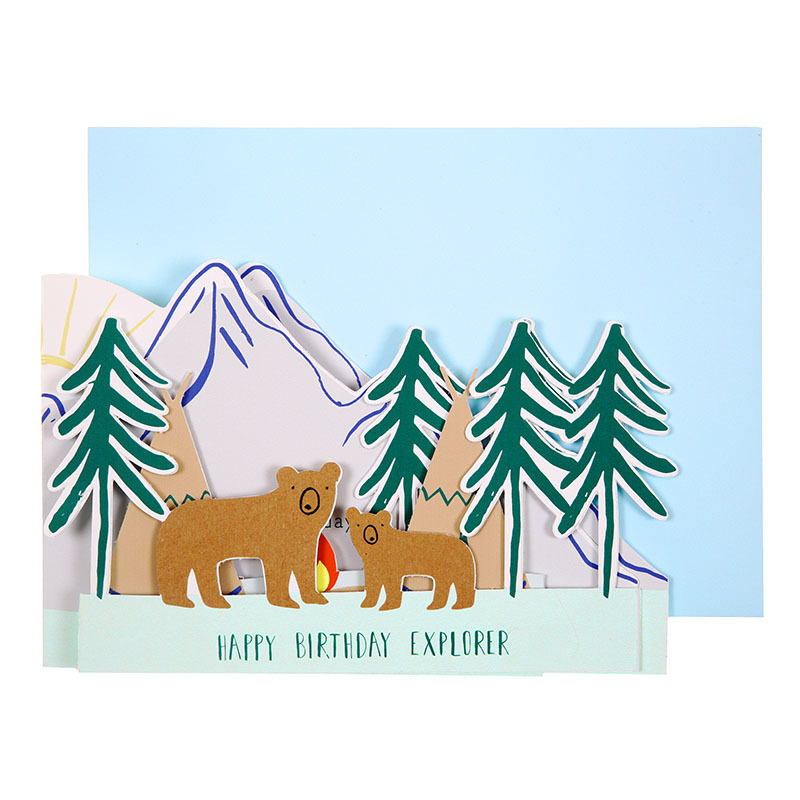 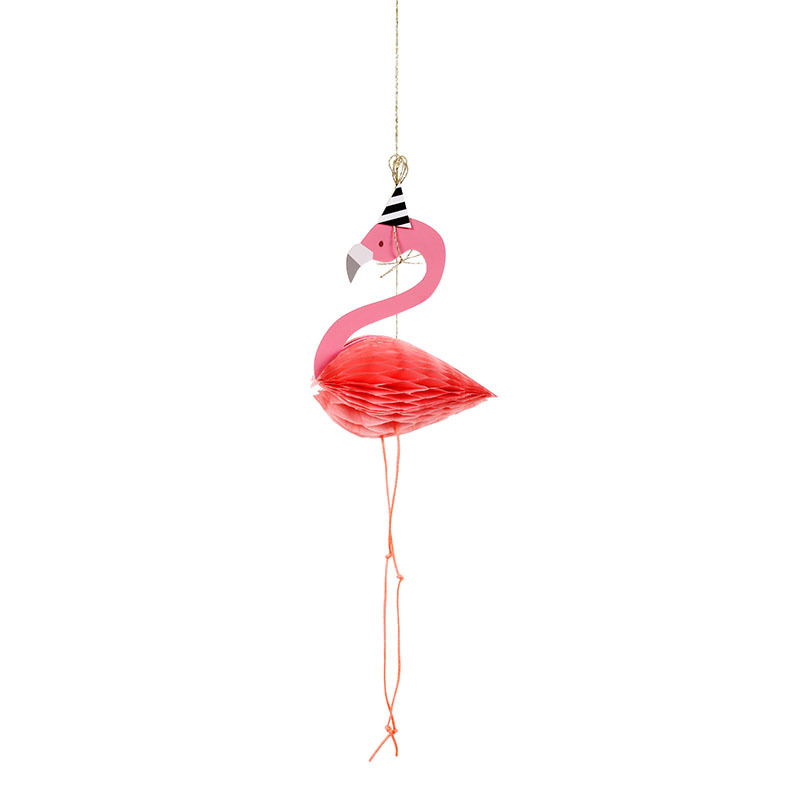 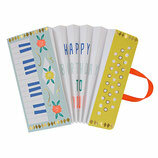 Beautifully crafted with honeycomb paper and embellished with shiny gold foil and neon ribbon. Comes with a coordinating envelope. 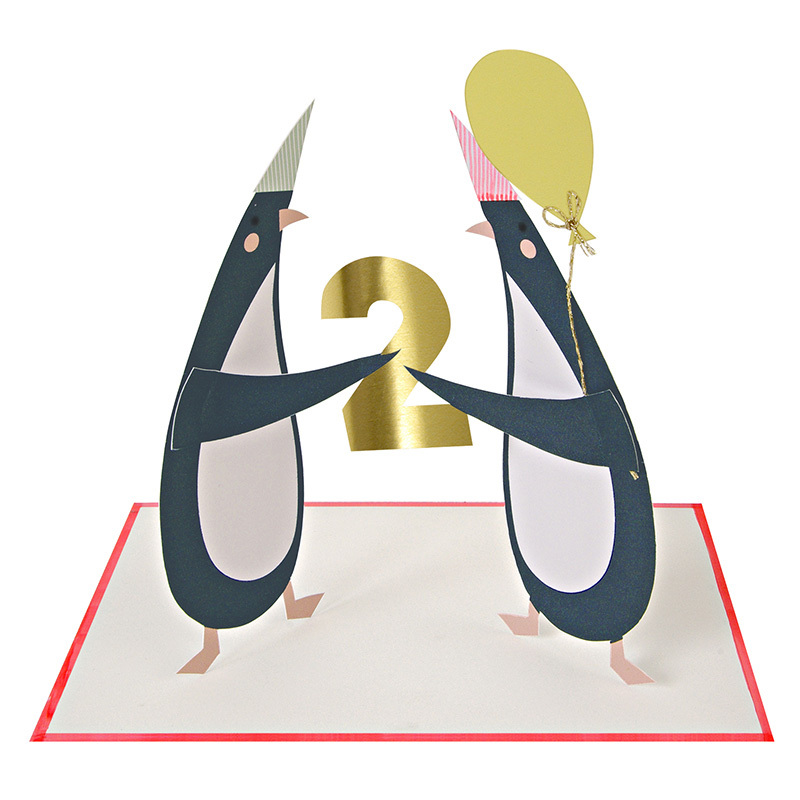 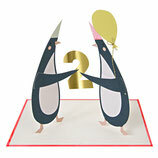 A delightful birthday card for a second birthday featuring two party penguins with hats and balloon. 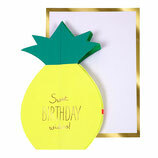 The card is embellished with shiny gold foil and comes with a co-ordinating envelope. This little pooch just keeps getting longer and longer. 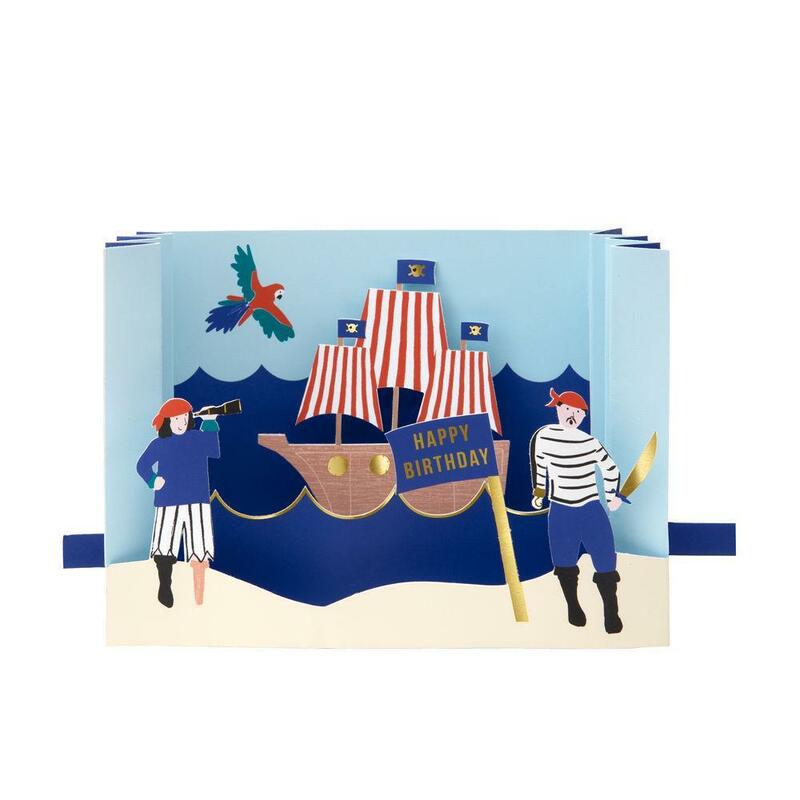 Open the bi-fold card to read the birthday message. This charming card is embellished with felt, silver string and the dog has a googly bead eye. 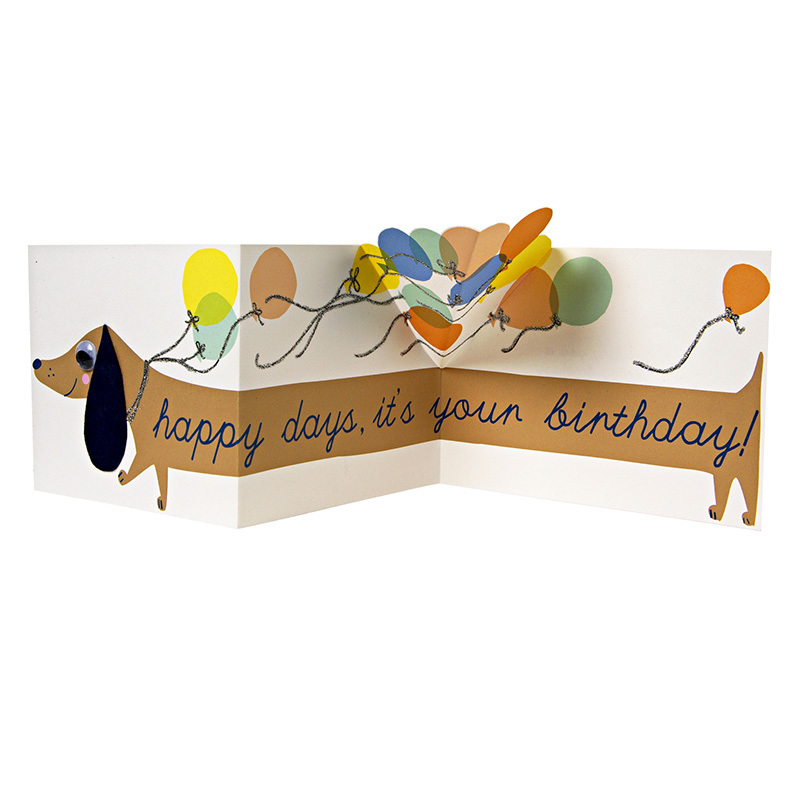 Card size: 21 inches x 5 inches (fully extended). 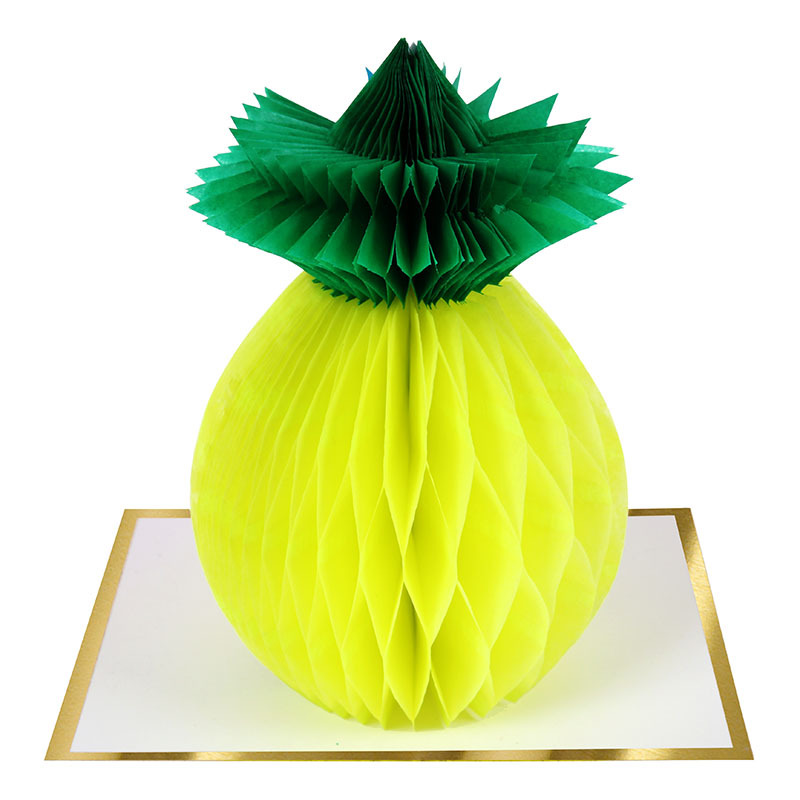 Envelope size: 5 x 7 inches. 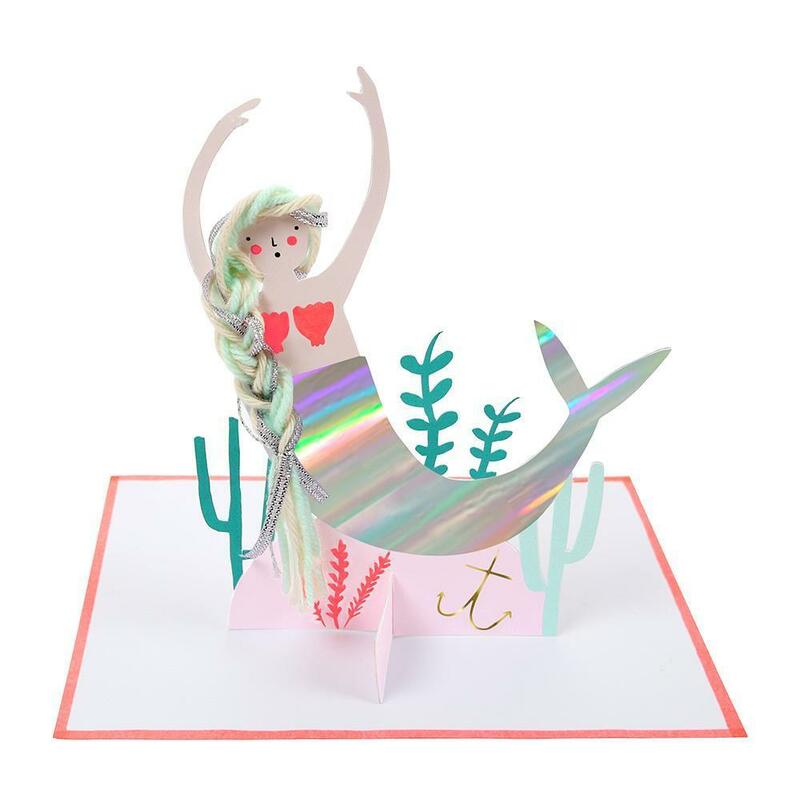 This gorgeous card opens out to reveal a delightful underwater scene featuring a shimmering mermaid with long, braided hair. 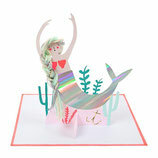 Embellished with shiny silver holographic foil, wool and metallic thread. 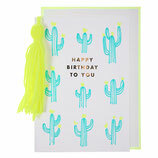 Comes with a coordinating envelope. 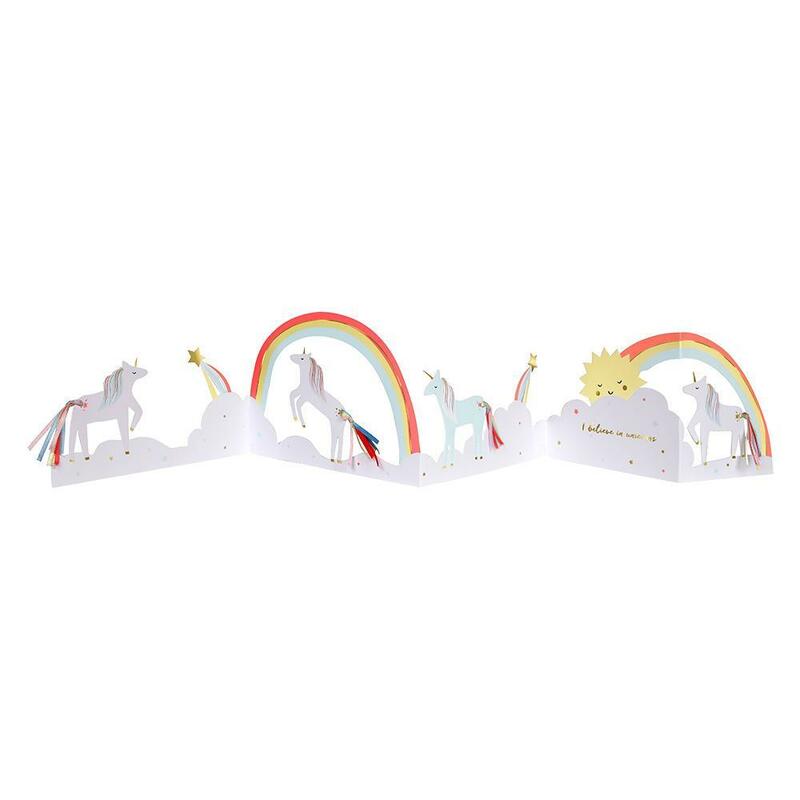 This gorgeous unicorn stand-up card is the perfect way to send your best wishes to someone who loves these magical creatures. 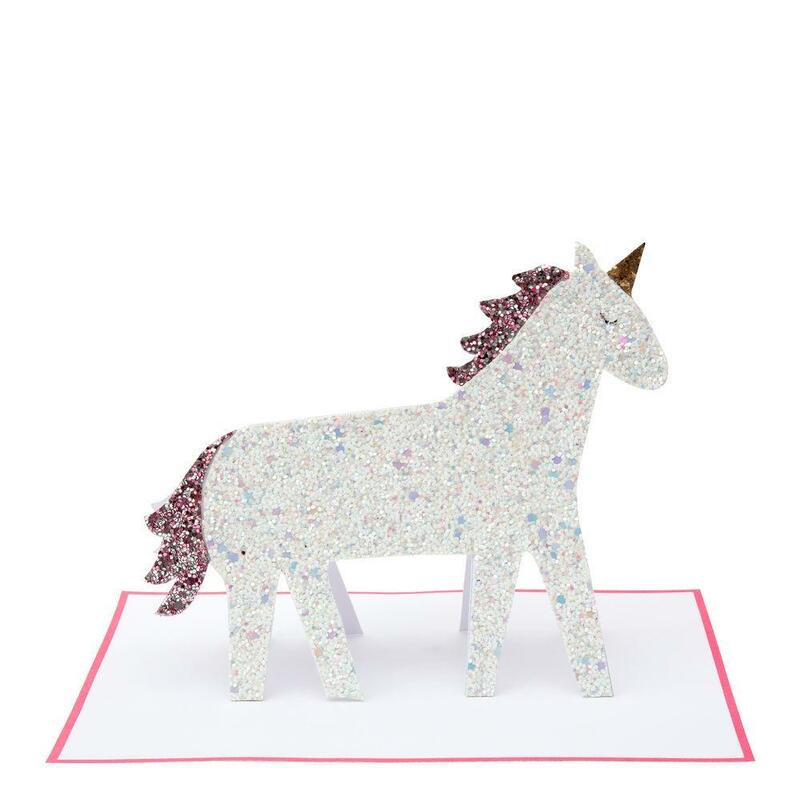 Beautifully crafted with lots of sparkly glitter. 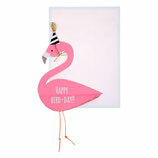 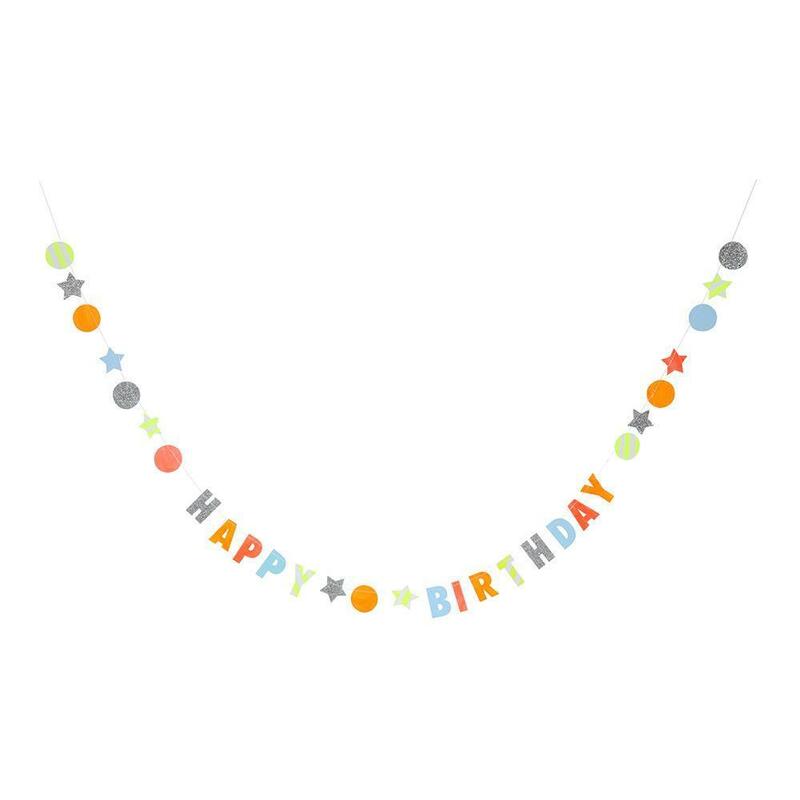 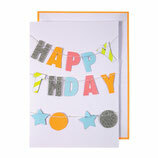 This gorgeous card doubles as a mini garland featuring a bright and beautifully decorated 'Happy Birthday' message. Embellished with silver glitter and embroidery thread. 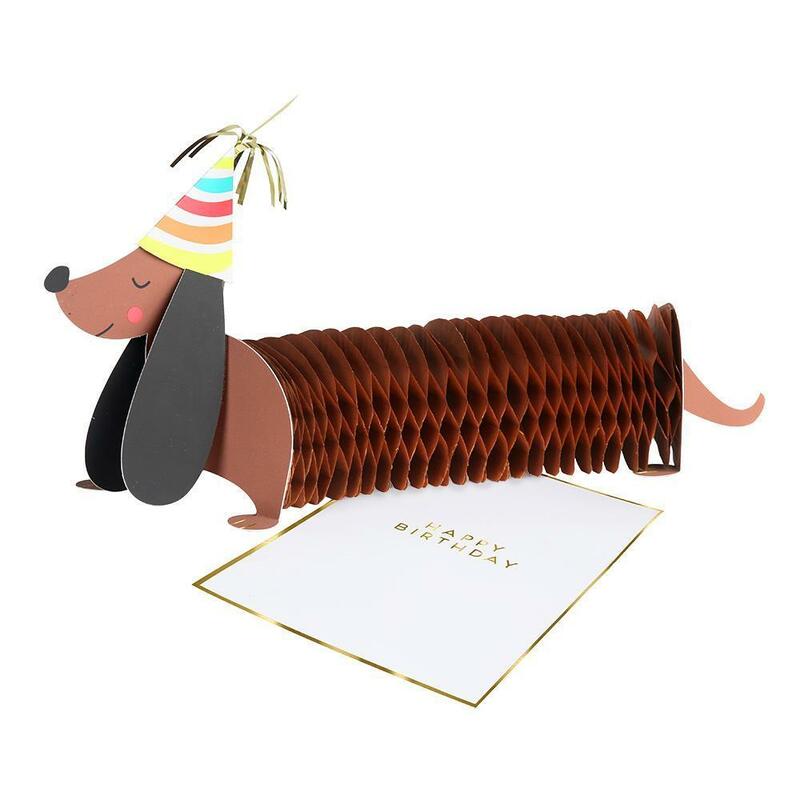 Comes with a coordinating envelope. 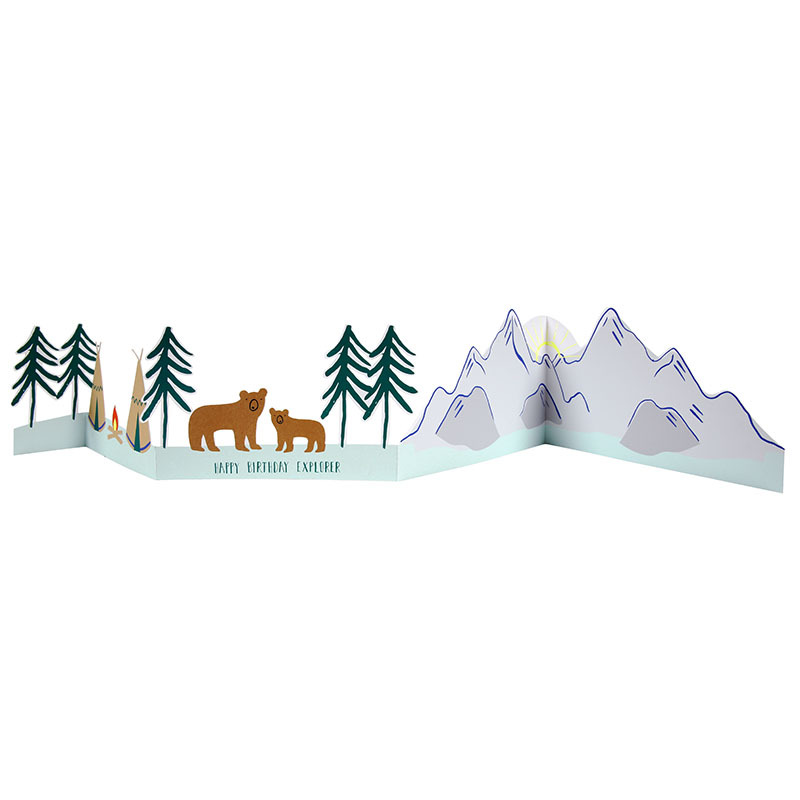 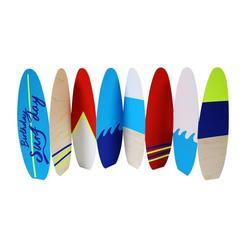 Surfer dudes will love this clever card which folds out to reveal a range of colored boards. Comes with a coordinating envelope with a wave pattern.